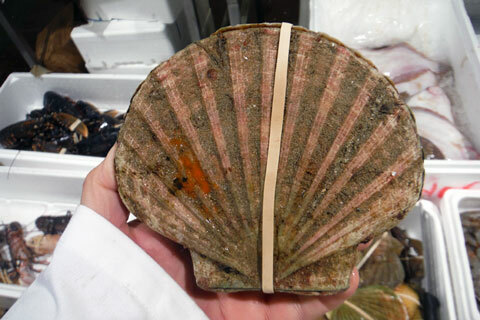 Red mullet, grey mullet, salt-and-honey-cured roe, chinchard, and some more gloriously super-sized scallops, fresh in from the west coast of Scotland, are our pick of Billingsgate this week. 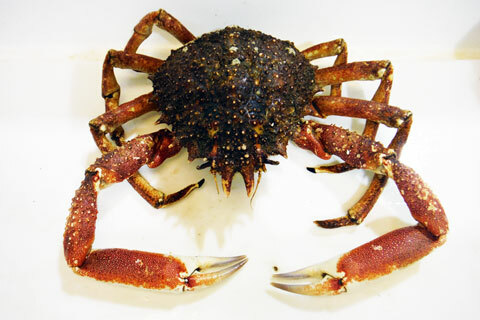 Spider crab from Cornwall, brown crab from all over, plentiful plaice from the Thames estuary and spectacular hand-dived king scallops from Scotland are the pick of Billingsgate this week. 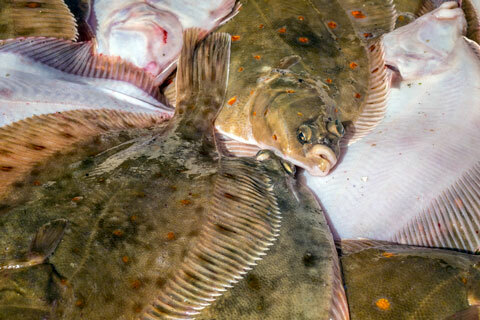 Top-notch cod, haddock, pollack, whiting, lemon sole, plaice, halibut and queen scallops are the pick of an outstanding British line-up at Billingsgate this week. 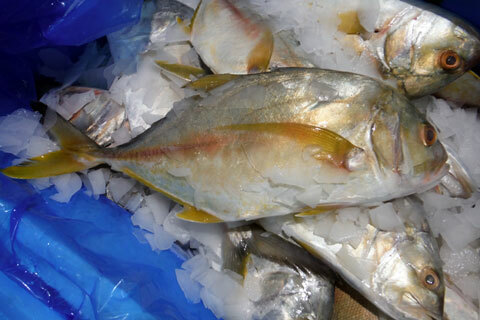 Lemon sole, all kinds of exotic fish including grouper, mahi-mahi, swordfish, pomfret, kingfish, yellowtail, wahoo and snapper, plus spiny lobster and sea urchins are the pick of a bustling Billingsgate this week. 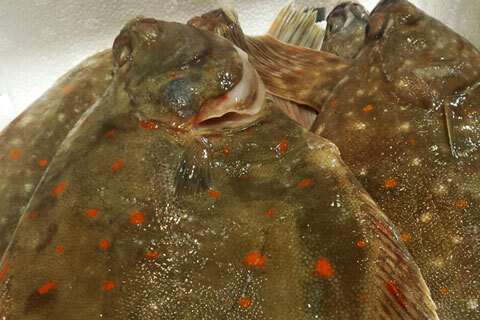 British plaice, brill and Dover sole, all in prime condition and plentiful supply, are the pick of Billingsgate this week, says our man on the spot. 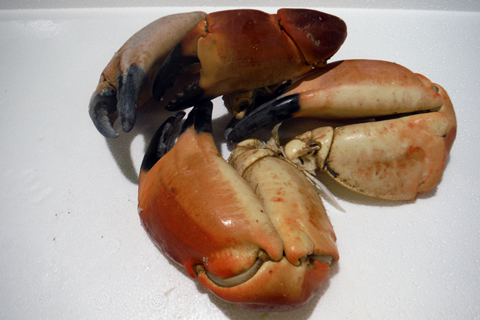 Cooked crab claws, tiger prawns from Argentina, dogfish from the US and wild oysters from Essex are our pick of Billingsgate this week. 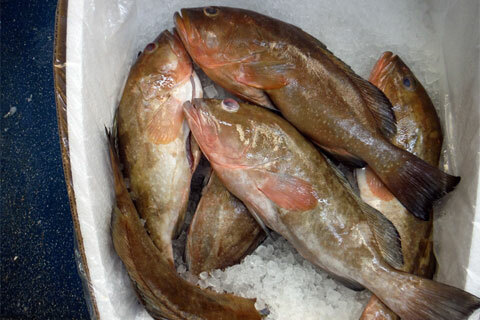 Red-bellied grouper, a newcomer from the Gulf of Mexico, plus gilt-head bream, rock oysters from the Swale estuary and samphire from the Medway are the pick of Billingsgate this week. 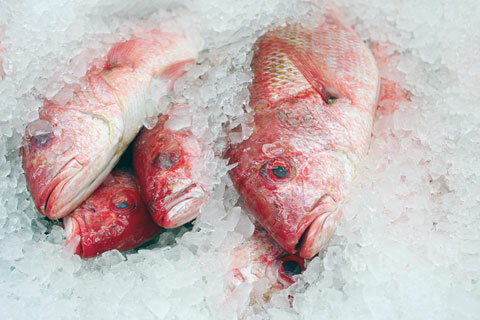 Indian red mullet, Asian halibut, croaker, emperor bream and Nigerian tiger prawns are the exotic BBQ-friendly pick of Billingsgate Market this week. 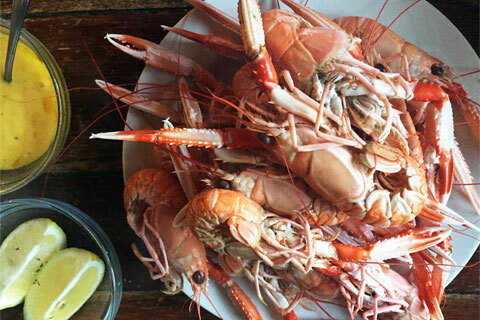 Sensational Dublin Bay prawns, also known as langoustines or scampi, brown crab and coley are the pick of Billingsgate this week, says our man on the spot. 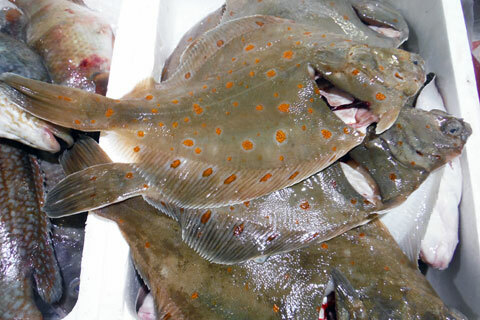 Wild sea trout and rainbow trout, spider crab and brown crab, and all kinds of seaweed, including sea haricot, red dulse and green laver, are our pick of Billingsgate this week. 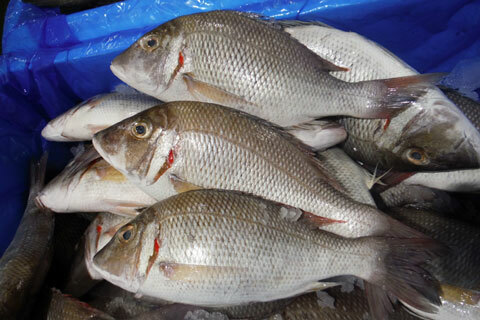 Essex rock oysters, Dutch hot-smoked eel and exotic trevally are the pick of Billingsgate this week, says our man on the spot. 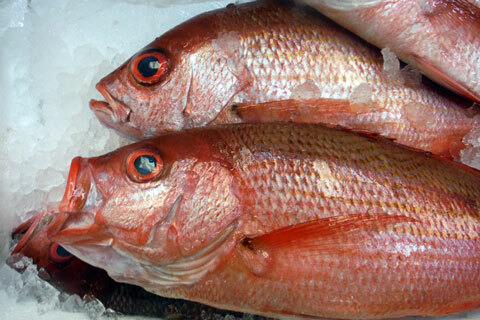 Pollack and coley, redfish from the Orkneys, pink bream and carpe rouge from West Africa, Amandes clams from France and cockles from Dorset are this week’s Billingsgate pick.